Build your Aerobic Base and Endurance with Aerobic Intervals. Aerobic training at lower intensities can be boring, but it is essential for cycling success. In this workout you will be guided through a series of short HIT (high intensity training) Intervals that are aimed to build your aerobic base. This is a perfect workout for laying the foundations of your training program to achieve outstanding fitness. 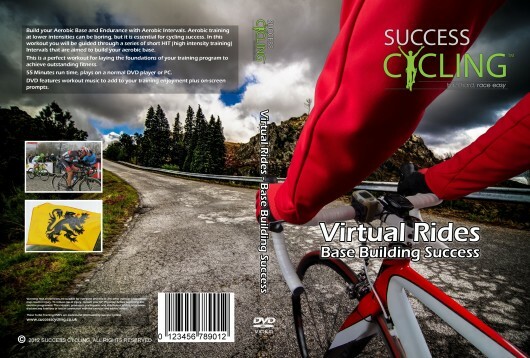 This cycling DVD can be used with any make of turbo trainer. 55 Minutes run time, plays on a normal DVD player or PC. DVD features workout music to add to your turbo training enjoyment plus on-screen prompts.